Nearly $9 million in redevelopment agency money is one step closer to be returned to the coffers of the City of Santa Clarita following passage of AB 1585 on Monday by the state Assembly, including an across-the-aisle vote by 38th District Assembly Member Cameron Smyth. “It would have been a little contradictory that for me last year who opposed the effort to end redevelopment agencies to then also oppose and attempt to help cities in providing clarity in what to do now that the redevelopment agencies have ended,” said Smyth. Should the bill pass the Senate and then go on to be signed by Governor Jerry Brown, Santa Clarita would retain $8,896,406 to be used toward construction of affordable housing in Newhall. “We actually have a development called the Newhall Avenue Development that would provide for affordable housing on Newhall Avenue and what we would be able to do is utilize that funding towards that project,” said Armine Chaparyan, Redevelopment Manager for the City of Santa Clarita. On March 13 the Santa Clarita City Council voted to support AB 1585 (along two similar bills SB 654 and SB 986) that would make technical fixes to AB1X 26 which Governor Brown devised to eliminate redevelopment agencies. 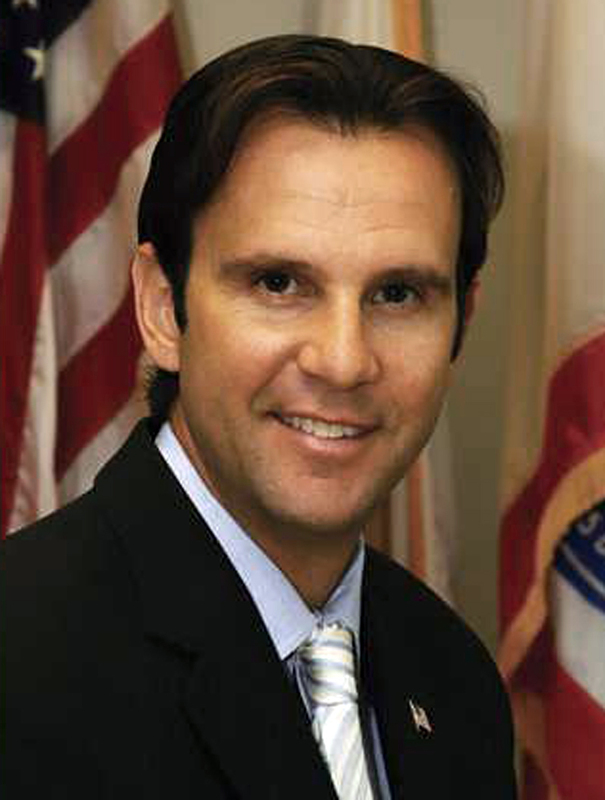 As a former Santa Clarita City Council member, Smyth was in tune with the city’s position. “Oh yeah, we knew this was important to them,” said Smyth. Smyth’s Republican colleagues in the Assembly were not as motivated to support the bill crafted by Democratic Assembly Speaker John Perez. Only seven GOP members crossed the aisle to lend their support. Speaker Perez introduced AB1585 as an urgency bill meaning it would require 2/3 vote and would become a law immediately instead of becoming law January 1 of the next year. “So many of my Republican colleagues felt there wasn’t the need to put the urgency in the bill and that was one of the reasons they may have opposed,” said Smyth. Unfortunately, according to Smyth, there was a good reason for the urgency. In May many of the successor agencies responsible for winding down the responsibilities of the dissolved redevelopment agencies will come online. Locally, the city has assumed responsibility for the winddown. “Cities need some clarification and that bill helps provide some of that guidance. Otherwise you’re afraid it becomes the law of the jungle at that point without some statutory clarifications,” said Smyth. In terms of the Newhall Avenue development (which would create 30 affordable units) the city has already completed the development plans and has finalized the development and disposition agreement with the developers. Chaparyan estimates that the project could be completed in 18 months — but she’s restraining her excitement. “I don’t think I will be really excited until it passes to the next step and actually goes to the governor for signature and he signs,” said Chaparyan. Having done what he could on the Assembly side, Smyth says it’s up to the Senate. However, he’s not optimistic. “I’m not as certain there will be Republican votes in the Senate so it may very well just stall there,” Smyth said. $8,896,406 divided by 30 units = almost $300,000 per unit. Seems high.